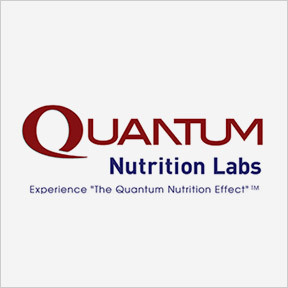 Quantum Nutrition Labs (QNL) was founded to help empower individuals to reach and enjoy optimum lifetime health. As such, Quantum strives to provide products that make good health possible. QNL was founded by Robert J. Marshall, PhD, CCN, DACBN, who began by intensively researching and seeking out genuine superior quality nutrients to combat his personal health challenges. As a Certified Clinical Nutritionist, as well as a Diplomate, American Clinic Board of Nutrition, Dr. Marshall worked in clinical practice for over 30 years. He conceived of QNL to launch a new class of high quality nutritional formulations designed to deliver quantum-state nutrients to support the health and function of various organs and glands of the body. Quality ingredients, sourced from qualified suppliers worldwide, are chosen solely for excellence in terms of purity, potency and quantum-state resonance capacity. Rigorous state-of-the-art bioenergetic assessment and lab testing of all raw materials ensures ingredients of pristine quality. Manufactured in an FDA inspected facility under strict compliance with current Good Manufacturing Practices (cGMPs), QNL assures that their premium quality nutritional products meet the highest biochemical and bioenergetic standards. Quantum-state formulations are fermented using a unique probiotic culture that allows for rapid oral delivery with superior bioenergetic properties. All products are manufactured without added excipients or artificial ingredients. Glutathione Support: This vegan complex provides a bioavailable reduced form of glutathione, a master antioxidant recycler. Formulated to deliver effective broad-spectrum free radical protection, and provide nutritional support for immune and cellular mitochondrial health, this formula also supports Quantum-state liver detoxification. Excipient and artificial ingredient free, vegan formulation. Lean KetoBlend: This quantum-state biocompatible formula is designed to support healthy weight management, lean body mass, and glycemic metabolism. The formula features green coffee bean extract, raspberry ketones, and bitter orange extract for advanced lipid metabolism and fatty acid oxidation, as well as additional botanicals for optimal nutritional support. Vegan formulation. Max Stress B™: Highly rated by our customers, Max Stress B™ is a unique probiotic-fermented high energy B vitamin complex that delivers advanced support for the liver, brain, adrenals, and immune and cardiovascular health. This formula provides additional support for balanced mood and energy levels. The one of a kind probiotic culture allows for rapid delivery for superior effects. Vegan formulation. Heart-PG: This very popular Quantum-state formula delivers comprehensive support for the cardiovascular system. The formula provides heart protective probiotic-fermented nutrients micro-cultured under controlled conditions, and designed for rapid delivery for superior cardiovascular effects. Vegan formulation. Immune Support: This live-sourced, nutraceutical formulation provides Quantum-state immune and cardiovascular support with botanicals such as reishi extract, organic whole turkey tail mushroom, noni fruit, and Olea-Pro™, a premier olive leaf extract. Artificial ingredient free, vegan formulation. This entry was posted in Home and tagged Glutathione Support, Heart-PG, Immune support, Lean KetoBlend, Max Stress B, Professional Supplement Center, Quantum Nutrition Labs, Vitamins and supplements, www.professionalsupplementcenter.com. Bookmark the permalink.